The training wheels are coming off of The Water Council’s Milwaukee accelerator program for water tech startups. The accelerator—dubbed “Business. Research. Entrepreneurship. 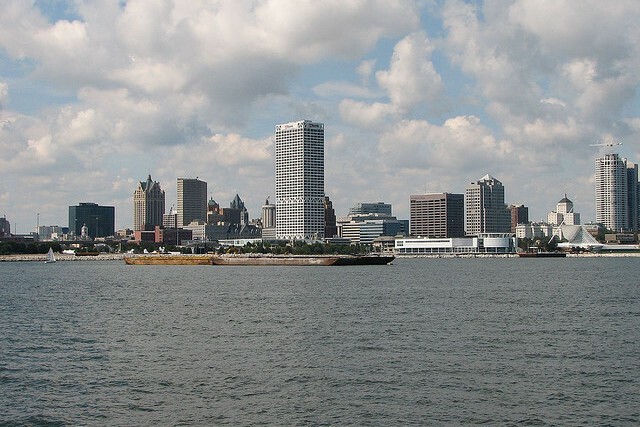 In Wisconsin,” or the BREW—is housed near downtown Milwaukee in the council’s Global Water Center that brings together research and development teams from big water-related companies, academic researchers, and business service providers. In the accelerator’s first two sessions, each startup received office space in the center, access to industry mentors and expertise, and a grant of up to $50,000 from the Wisconsin Economic Development Corp. (WEDC). Now, beginning with the accelerator’s third session slated for the fall, The Water Council will take a small equity stake in each company. The exact percentage is still being determined, but it will likely be in the single digits, says Dean Amhaus, The Water Council’s president and CEO. It’s a big step for the BREW accelerator, but one that has been part of the plan since The Water Council launched the program in 2013, Amhaus says. Now, with two sessions under its belt, he believes the BREW has matured enough to justify to entrepreneurs that the program’s money and services are worth giving up a small piece of their company. The accelerator waited to take equity stakes “because, frankly, we wanted to get our act together on putting together the program, laying that out, and really putting a focus on that at the outset,” Amhaus says. The move is also a notable one for Wisconsin’s entrepreneurial community. Gener8tor is the only major for-profit startup accelerator in the state. It takes a 6 to 9 percent stake in its portfolio companies in exchange for $20,000 in up-front cash, plus up to $120,000 in convertible debt after completing the three-month program. The WEDC program requires the accelerators to raise matching funds, which can be a combination of cash and services. The WEDC money that accelerators pump directly into participating companies can be distributed in the form of grants, loans, equity investments, or through royalty agreements, says Lisa Johnson, WEDC vice president of entrepreneurship and innovation. Most of the recipient accelerators have opted to dole out the WEDC money to companies via grants. The BREW will be the first to use the funds for equity investments, Johnson says. WEDC does not take an equity stake, so any future returns from exits by BREW companies will go to The Water Council. Although WEDC—a hybrid public-private agency funded primarily by the state government—is forgoing the opportunity for a return on its investment through the Seed Accelerator program, Johnson says it’s more important to help the accelerators get off the ground, and then get out of the way. WEDC could take equity stakes, but it would likely put any returns back into the accelerators, she says. “They have to keep coming to the trough” in that scenario, she adds. The BREW has been fine-tuning its program in part by talking with other accelerators around the state to learn from their experiences, says Elizabeth Thelen, The Water Council’s director of entrepreneurship and talent. Another move that should help with the shift to an equity-based model, Amhaus says, was hiring Scott Mosley from WEDC last year to be The Water Council’s director of investment strategies. Amhaus thinks the BREW is already proving its value by helping participants make important connections to industry leaders and mentors, and helping them access additional sources of capital. One indicator of entrepreneurs’ satisfaction is the fact that most of the companies from the first two programs have opted to keep working out of the Global Water Center after the program, Thelen says. She says the BREW will continue targeting the same types of companies: a mix of early-stage and more mature startups that have intriguing products that could impact their respective markets. Examples thus far include everything from water data analytics to a sonar device for monitoring groundwater levels.